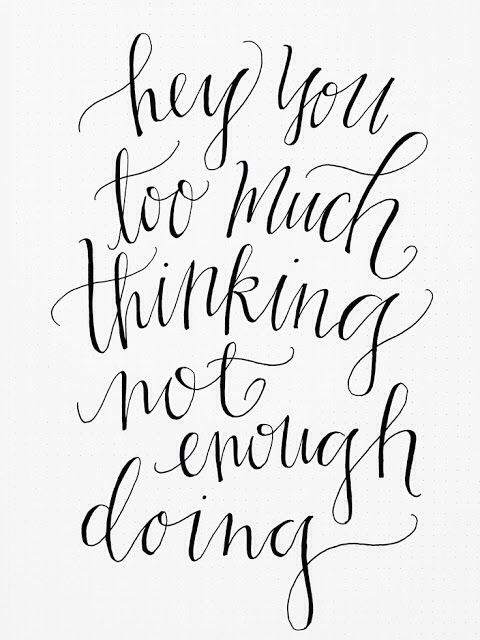 Talk Tuesday: Less Overthinking and More Doing! I have a tendency to overthink things at times and usually it’s not a good thing. So I know that I need to start putting my money where my mouth is so to speak and start putting my thoughts into action rather than thinking way too much into things. Overthinking may create hesitation, doubt and/or confusion and who needs all of that right!? It’s all about less overthinking and more doing. No more holding back, just follow your heart and do it!